My wife recently took her Mac to the company where she works as a contractor so that the IT department could install updates for some of the software she’s required to use. When she brought it back home we discovered that they’d installed McAfee Endpoint Protection. Since it’s returned her Mac is locking up and she’s having problems with her email. I have to think that it’s the McAfee product. Do you know how we can uninstall it? I do, but before I tell you how, a word of caution. While it would have been nice if the IT person had asked before installing this software on the Mac (as it belongs to your wife and not the company) it may be that the company requires some form of antivirus software for any computer that interacts with its email system or has remote access to its servers. Personally, I think this kind of antivirus software causes more problems for Macs than it solves, but then I don’t have to answer to the company’s CTO. So, my first suggestion would be to contact IT, explain the problems you’re having, and see if you can come to a mutually agreeable solution. If that’s not possible (and you won’t endanger the company or lose your contact) and you wish to proceed, do the following. and press Return. 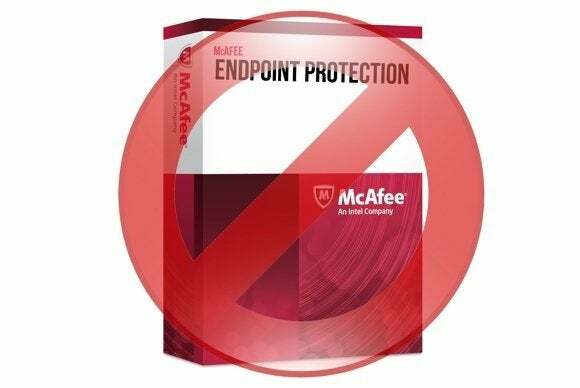 Restart your Mac and McAfee will be gone. Should others face a similar situation with a different variety of software it’s always a good idea to see what’s been added to the /Library/LaunchAgents and the /Library/LaunchDaemons folders. Removing unwanted items from these folders can often put an end to disruptive utilities that launch on startup. Of course if you have an uninstaller app, all the better. Have a question of your own? Send it along to mac911@macworld.com.